After a career in the USAF followed by twelve years in industry, I started Quantum Radical Innovations to have the freedom to practice what I preach and to share with you what I know works best. Quantum Radical Innovations provides consulting using a quantum physics approach to the art of business, leadership, and management. It gives me the opportunity to help you during these radical* times to think differently about business and offer you ways to create opportunities to be even more successful than you already are. Did you know your business obeys the laws of quantum physics? I bet you never heard your business described that way. Well, it does—the laws of physics apply to everything in the universe. And once you start thinking about and talking about your business in the language of quantum physics, you open yourself up to a new and rich world of possibilities. You’ll understand better why some management and leadership styles work sometimes and sometimes they don’t. You’ll start using terms like superposition, tunneling, and entanglement to describe business processes and employee behaviors. These words will help you see your business through a different lens giving you a completely different perspective on your business and your leadership style. Did you know that over 30% of the US economy is already based on quantum physics and that number is increasing? Ever hear of the electronics industry? Did you know that the world of health and medicine is a few years into its own quantum revolution? Ever hear of quantum biology? If not, do your own investigation and stand by for a complete restructuring of health and medicine over the next ten to twenty years. It would happen faster, but health and medical professionals mostly don’t read the Journal of Applied Physics. They should—physicists are making the breakthrough discoveries on how our bodies actually work. The same quantum revolution is coming to your business. Just as science in the 20th century discovered a whole new way to describe nature—Quantum Field Theory (QFT)—with the subsequent extraordinary technologies that have resulted therefrom—I believe, and know from my own experiences, we need to think differently about business and can use the thinking from the latest scientific descriptions of our reality to help us articulate and practice a better way to lead and manage our business organizations and our lives. 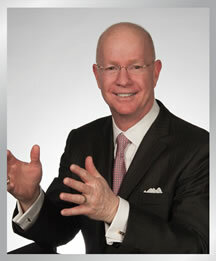 I have led organizations (military and business) of various sizes since I was 18 years old. I have had a broad and sometimes deep exposure to some of the most exquisite and advanced technologies on the planet, and have significant experience in organizational leadership, program management, systems engineering, and business development. The Quantum Radical is my innovation to help you deal with an increasingly complex business world. We can do that by thinking about business in the ways the new science forced scientists and engineers to think differently about the realities of the physical world. I believe that as quantum thinking becomes even more a part of our everyday lives, we will see dramatic changes in how we conduct business, how we lead and manage organizations, and how we create opportunities in the future. I have already tried it and the results speak for themselves. In one notable case, a very small group of us created a high-performing organization from scratch and, starting with no infrastructure, we were able to design, build, test, and deliver a high reliability space system (payloads, ground infrastructure, user segment) ahead of schedule and on cost. Instead of hearing about delays and overruns, our customer was thrilled to beat schedule and stay within budget. How were we able to achieve such results—starting from scratch? We thought differently. We went counter to conventional approaches. In hindsight, our approach was exactly what we needed to do—simple and elegant, but it definitely challenged the conventional ways. I will describe this experience and many others, in detail, in future blogs that will show you how I successfully applied quantum thinking to deliver extraordinary results. Quantum Radical Innovations is dedicated to helping you understand the implications of our quantum world–quantum thinking applied to everyday life—with the focus on business, leadership, and management to create opportunities in radical times. Please read my blog and sign up for my newsletter to learn more about applying the laws of physics to your business. It will change the way you think. *radical–relating to or affecting the fundamental nature of something; far-reaching or thorough.